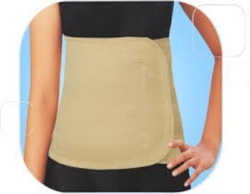 Tummy Trimmer and Abdominal Belt supports and compresses the abdominal muscles for waist line reduction and is used as a post operative or post delivery aid. Specification:Portable and Light weight; Use it anywhereFlattens Tummy in just minutes a dayFirms chest and armsTightens hips and thighs. Description:Easy exercise to Burn off Calories and Tone your MusclesEnjoy the flat stomach you always wanted. Shape and strengthens Arms, Legs and Thighs.It's portable and compact and can fit right in your briefcaseCan use at anyplace, anytime. Kamachi rubber pull exerciser tummy trimmer ab king pro slimmer. Tummy trimmer Exerciser is the latest, effective and easy to perform programmed that gives results, you feel from very first week. Trims your flabby figure, flattens your stomach, improves your posture and helps you look more attractive, confident and fit. It reduce your extra fat , you can also use this for your bicep & tricep also . Our organization holds years of expertise in offering Tummy Trimmer. These products are employed in the fitness center for various purposes. These products are made by our enormously well-informed professionals who use the top material and advanced technology. We present these products at reasonable prices to our consumers. - 3way rubber pull exerciser. - best results in abs. - MULTI PURPOSE- Your search for the PERFECTTO FLAT PRODUCT TEN YOUR TUMMY is now over with ZAxe Tummy Trimmer. Being a versatile equipment it helps REDUCE TUMMY, TONE ARMS, THIGHS, CHEST and to BURN ABDOMINAL FAT.You can do 4 TO 5 DIFFERENT EXERCISES with this.